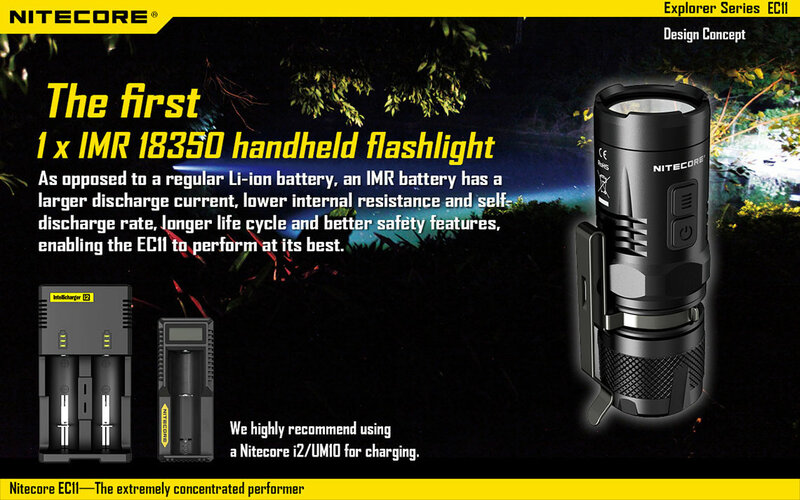 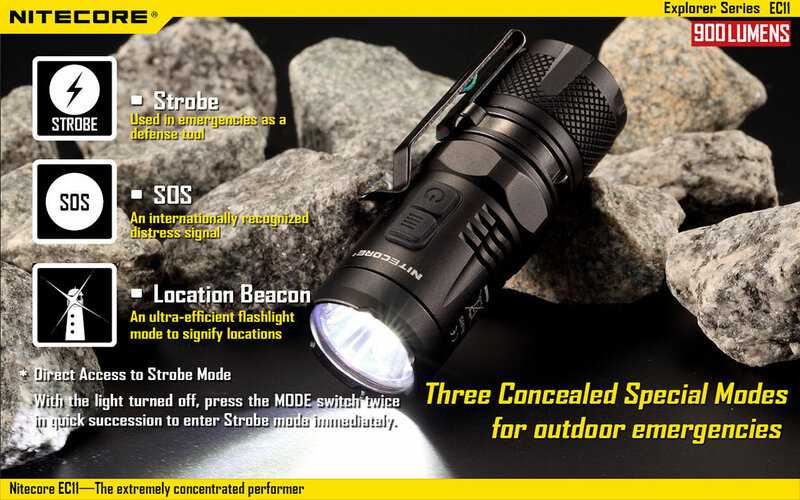 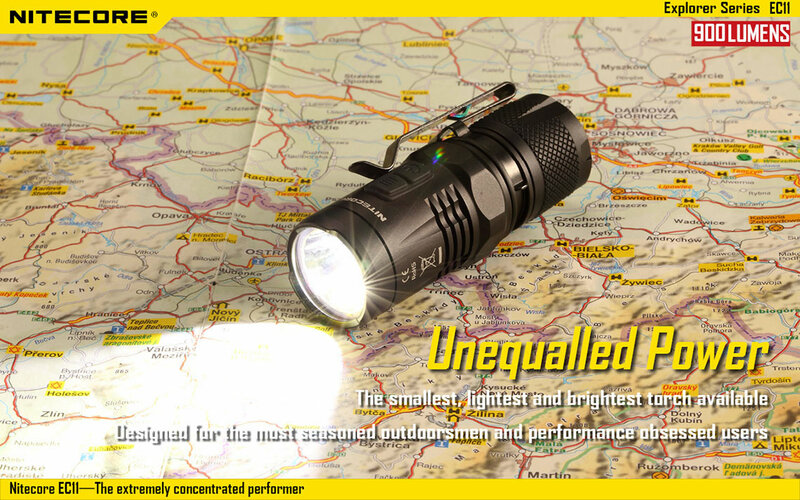 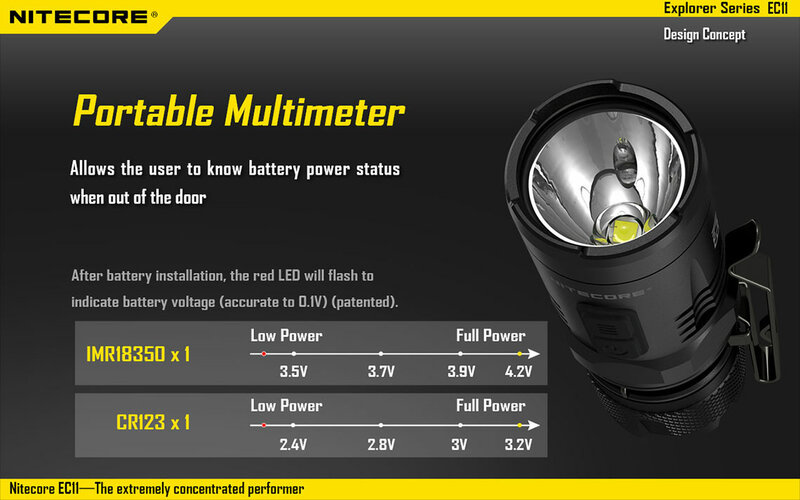 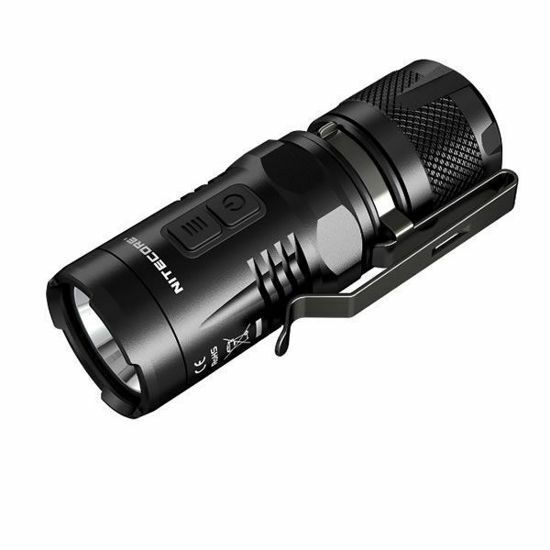 The latest innovation from Nitecore, the EC11 destroyed conventional thinking and delivers an incredible 900 lumens with a CR123A size IMR18350 rechargeable battery. 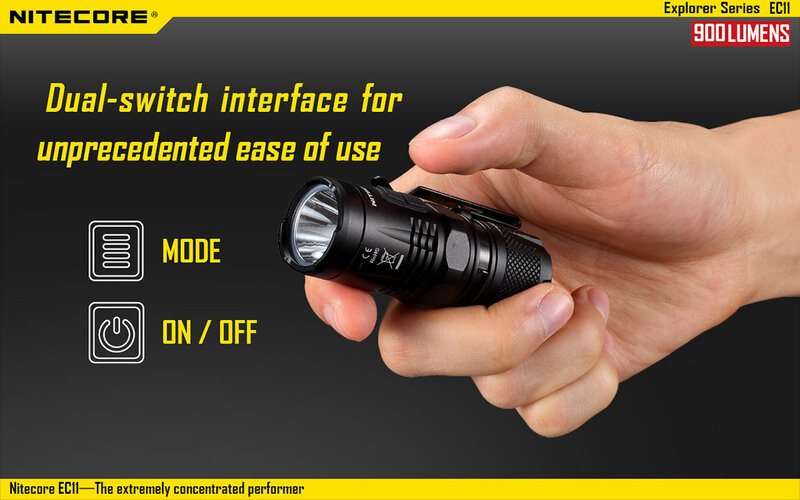 Unbelievably compact, the weight of light is only 1.6 oz and less than 3" in length! 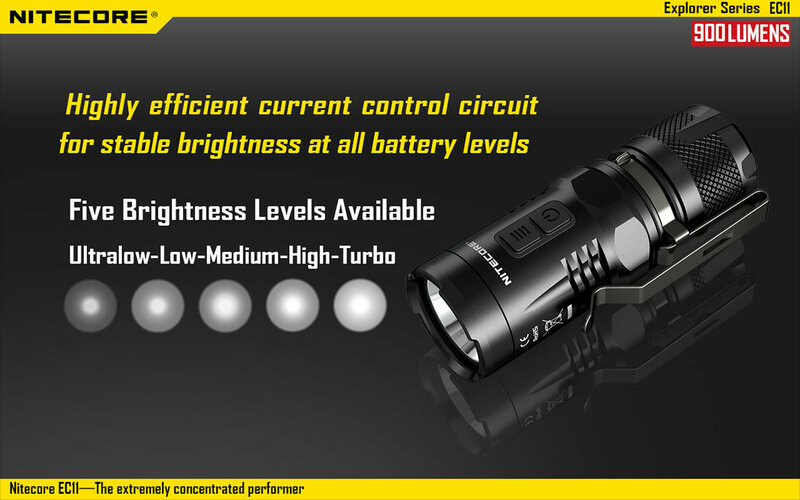 Features 5 brightness levels, Strobe, SOS, and Location Beacon. 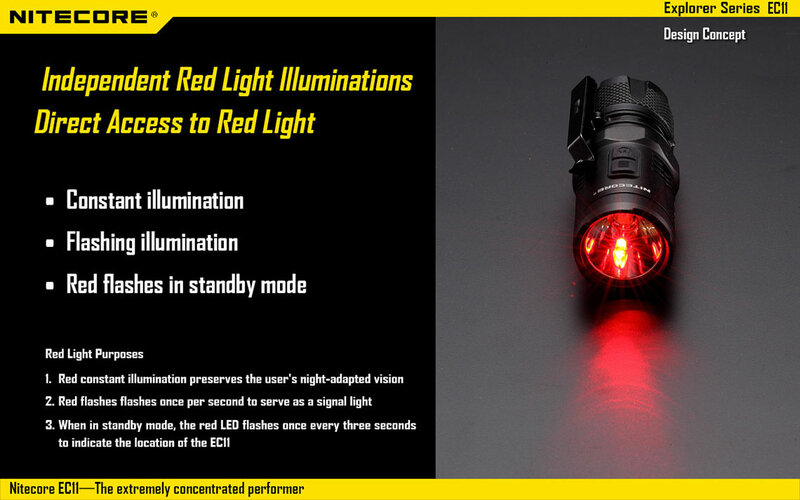 Independent Red LED has constant illumination for night vision and also flashing illumination.